With the One Design Mumm 30, designed by Bruce Farr, Enrico wins the 2007 World Championship in Porto Cervo, the 2008 European Championship in Venice and the prestigious Primo Cup in Montecarlo. Without a doubt, his most prestigious result has been to win the Mumm 30 World Title in 2007 in Porto Cervo with the Matrix boat belonging to Luigi Amedeo Melegari and Gianmarco Rinaldi. It was a battle all the way and it was only at the finish line that emotions literally exploded and the team could express its happiness. Nine races, with two victories, two second prizes and other very satisfying results made Matrix the winner of the World Title with eight points over the American boat Barking Mad, whose crew included no less than Terry Hutchinson, tactician of the New Zealand Emirates Team. The “Moby Mumm 30 World Championship” was a tough contest, hard fought by 39 boats from 15 different countries. 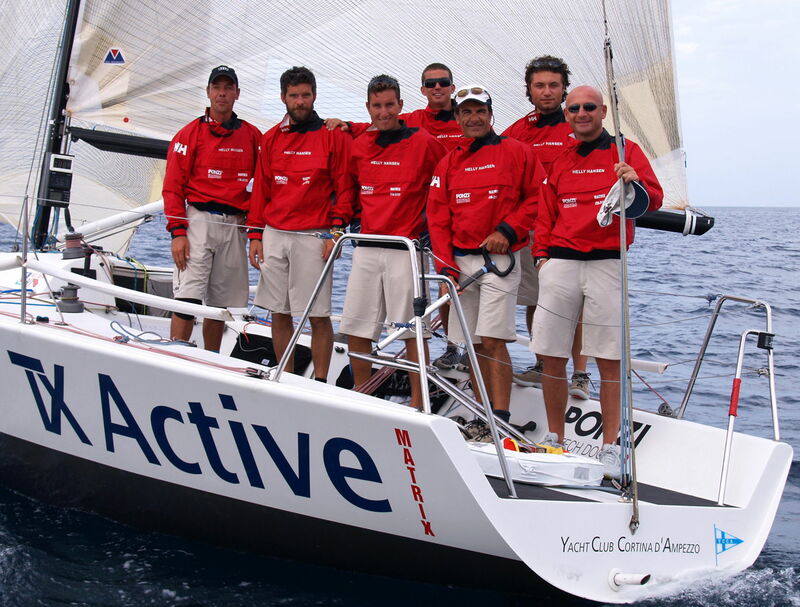 Competitors included such world famous sailors as Francesco De Angelis, the above mentioned Terry Hutchinson, Vasco Vascotto, Vincenzo Onorato, François Brenac, Hamish Pepper and the then world champion, Erik Maris. A good start, perfect maneuvers, a crew well-prepared and united by friendship, concentration and tenacity the magic ingredients that made a wonderful victory possible.